A record 36,159 runners finished the 2010 Chicago Marathon. 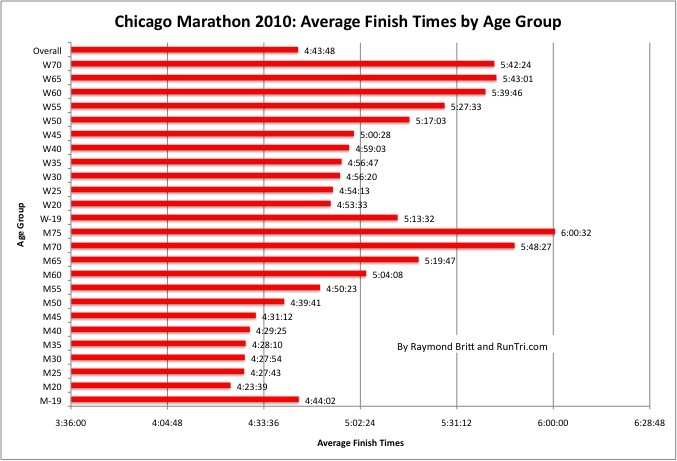 The average finish time overall -- 4:43:38 -- was 15-20 minutes slower than most Chicago Marathons in the last decade, but the difference is explained by the heat. 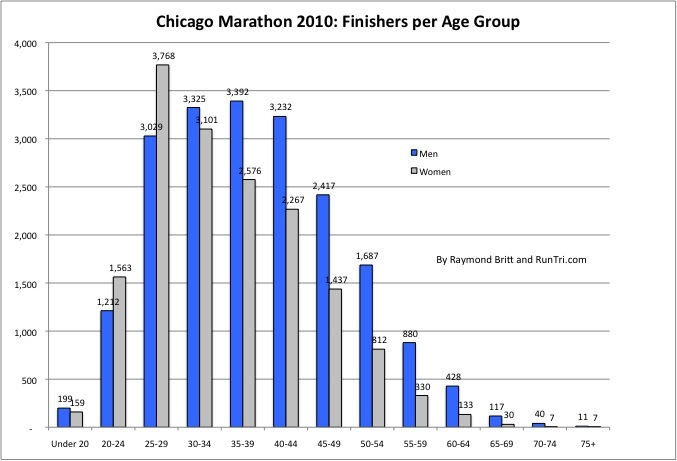 The charts below shows the range of average finish time by age and number of finishers by age group. Also see our Exclusive Chicago Marathon Coverage.